Recently I got my hands on the new TIE Striker vehicle from Hasbro's line of Rogue One: A Star Wars Story 3.75" scale vehicles. 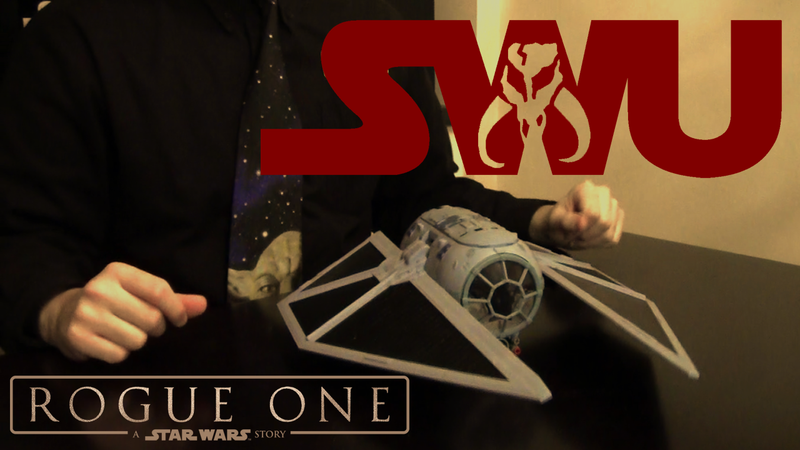 In the video below, I show you what you can expect from the TIE Striker and share my thoughts on the vehicle. Check it out! The 3.75" scale TIE Striker is available now from Hasbro. Rogue One: A Star Wars Story hits theaters on December 16th. Make sure to subscribe to the SWU on YouTube for more video content (including a U-Wing unboxing) coming soon!